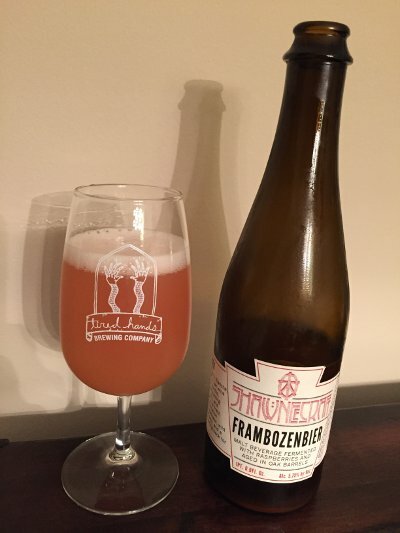 Back when I started homebrewing, I made a tripel for my second batch. A relative neophyte, the tripel was one of my favorite styles, and I was overexcited at the prospect of making a whole 5 gallons of the stuff. As it fermented away, I anxiously tried to come up with some sort of fancy name for my beer and promptly ran into a brick wall. 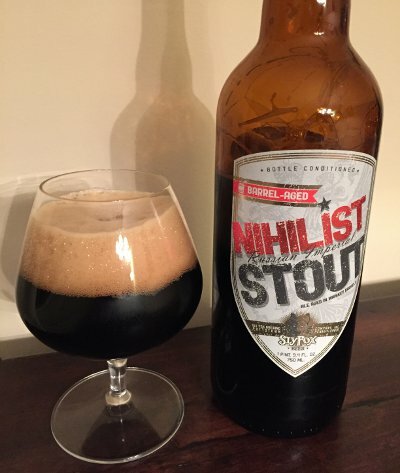 I've noted before that I'm terrible at naming beer and am mildly comforted when a real brewer comes up with something straightforward to their beer. Ultimately, while I enjoyed that batch of tripel, it quickly dropped off in quality, with a huge fusel alcohol quality developing, so naming it was a moot point. Beer Nerd Details: 8.8% ABV bottled (750 ml). 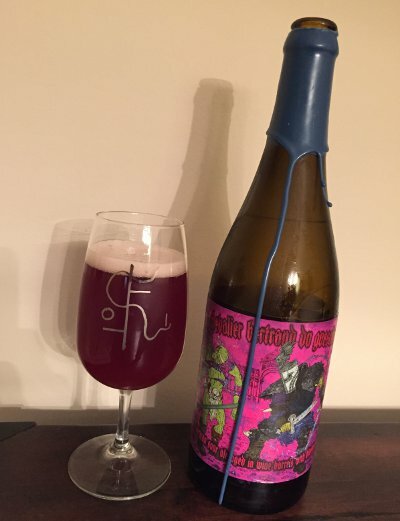 Drank out of a Tired Hands wine glass on 11/8/14. Bottle No. 721. Best by 05/2016. So not quite Seizoen Bretta levels awesome (incidentally, shared another bottle of that this past weekend and once again blew some minds - it's such a fantastic beer), but a really solid take on another Belgian style. I'm always down with trying more Logsdon. Fingers crossed for some Peche 'n Brett someday. Someday. 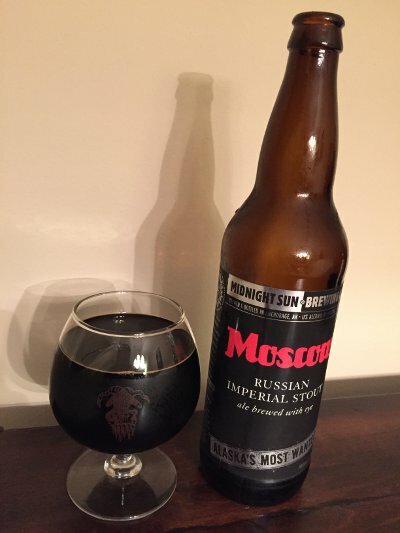 For a state with as many breweries as Pennsylvania, it's surprising how few barrel aged stouts are out there. 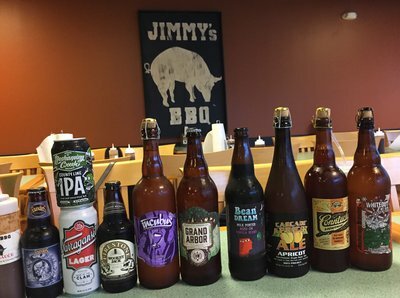 We've been killing it lately with barrel aged sours, but stouts and barleywines and the like seem to be much less common. Not completely absent, of course, but when it comes to massive face melting awesomeness, we're coming up a little short. The only examples that are coming to mind are highly limited one-offs like Pappy Black Magick or Whiskey Barrel Aged (not technically a stout, but close enough). Victory had a good thing going with Dark Intrigue, but they also claim they will never make it again. 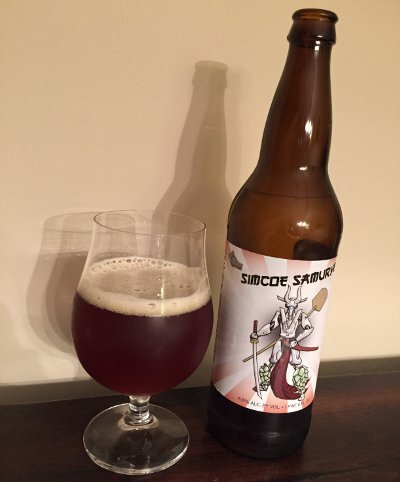 There are other one offs on their way (and I have another one right over here that I'll get to soon enough), but very few regularly produced local bourbon barrel aged beers. Beer Nerd Details: 9% ABV bottled (750 ml caged and corked). 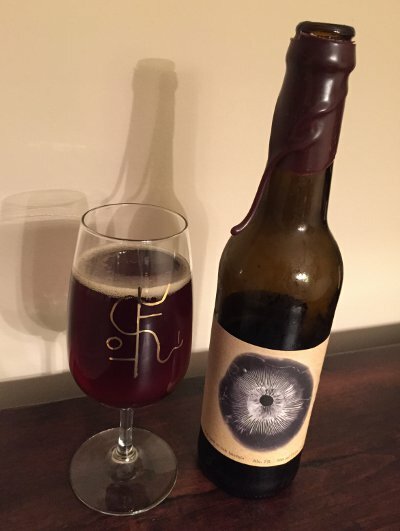 Drank out of a snifter on 11/7/14. You might not know this, but half of the United States' mushrooms come from Pennsylvania, specifically around the area of Kennett Square and surrounding towns. It's more of a historical accident than anything else, starting with industrious Quakers who couldn't bear to waste the space under elevated beds in greenhouses (and also the prodigious horseshit-production of a major city like Philadelphia). It caught on, and now we've got this growing movement of foodies who grow mushrooms in their kitchens and small artisanal farms like Woodland Jewel Mushrooms who supply local eateries with exotic gourmet mushrooms. Beer Nerd Details: 7% ABV bottled (500 ml waxed cap). Drank out of a flute one 11/7/14. Bottle release: 11/2/14. One of these days, I'll have to post another recap of draft-only Tired Hands stuff. On the other hand, I probably have, like, 50 beers on that list at this point, and most of them will never see the light of day again, so perhaps I can just leave it at that. Beer Nerd Details: 11% ABV bottled (22 ounce bomber). Drank out of a snifter on 11/1/14. A very welcome start, and I hope to seek out some of Midnight Sun's more prized regular releases, like Arctic Devil and Bezerker (No idea how easy or hard it will be to land those, but I'm an optimist). I'm glad the weather is turning cooler, as the seasonal stouts are starting to come out and play. Beer Nerd Details: 5.75% ABV bottled (375 ml capped). Drank out of a flute glass on 10/31/14. 2014 vintage. A few years ago, Al's of Hampden was your typical PA pizza joint. For the uninitiated, Pizza is everywhere around here. I live in the suburbs, and I have about 4-5 pizza places within about half a mile radius of my house (and probably double or triple that if you make it a mile). 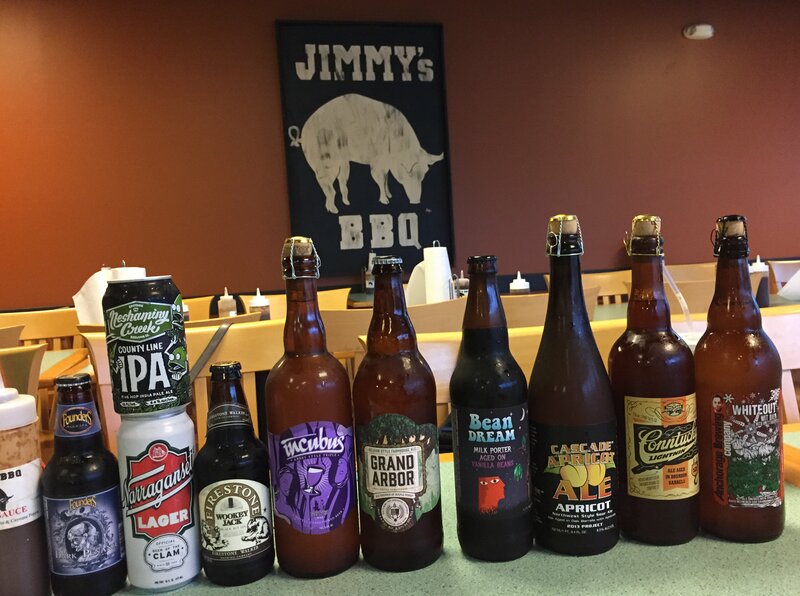 Because of this, some places have to differentiate themselves and Al's of Hampden had glommed onto the whole Craft Beer revolution, featuring a bunch of takeout bottles* and taps. But as craft beer continued to explode, Al found that he had some trouble keeping his taps flowing, and rather than whine about it, he installed a brewhouse and started making his own beer to make up for the shortfall. It appears to be a small operation, allowing them to experiment with all sorts of weird stuff, including some barrel aging and sours and whatnot. Music to my earballs. The brewing operation is known as Pizza Boy brewing, and it's been steadily building up a good reputation amongst local beer nerds. Alas, they're located in Enola, PA (a 1-2 hour drive from Kaedrin HQ), and I've been far too lazy for far too long. Fortunately for my laziness, Pizza Boy has started to bottle some of their brews and even distribute them. I hope this is a sign of things to come, but for now, I was happy to snag one of these Red Rye IPAs made with Simcoe hops. Beer Nerd Details: 6.8% ABV bottled (22 ounce bomber). 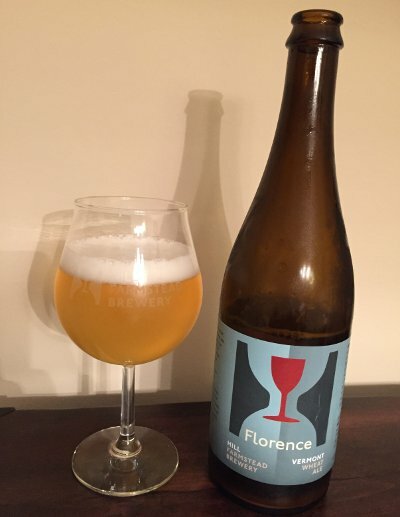 Drank out of a tulip glass on 10/31/14. * Again, for you non-PA residents, out fine commonwealth does not generally allow for beer distributors to sell by the bottle (only by the case). This is a fact that I've bemoaned many times before, but the good news is that there is a bit of a loophole in that restaurants are allowed to sell by the bottle, hence there are several places, like Al's, that have really stepped up their selection to serve the hungry market. We all know that Three Floyds has a reputation for their hoppy beers (rightfully so), and while I wasn't particularly taken with Dark Lord, they seem to strike a chord on that dark beer front as well. Sours, on the other hand, seem less like their thing. Of course, not having had any, that is just blind speculation based on scattered ramblings of strangers on the internets, which is totally reliable enough for the purposes of this post. Beer Nerd Details: 6.4% ABV? (it's hard to find any info on the ABV) bottled (750 ml blue wax). Drank out of a flute glass on 10/25/14. 2014 Vintage. This is the best of the beers (so far) I got from my FFF beer mule earlier this year, but now my FFF supply is running dangerously low. Only one more left, a stout. Look for that review soon enough (though it'll probably be a little while). And the parade of high-ABV Avery "session" beers continues. What's that? 17.22% ABV isn't a session beer? Well, according to Adam Avery, it is: "I try to just limit myself to one per drinking session. So I'd call it a sessionable beer... your session just ends quicker." In fairness, it's only about 13-14% more than your typical session beer. Someone alert Ding. I greatly enjoyed Rumpkin, Avery's rum barrel aged pumpkin beer, and what we have here is a bourbon barrel aged pumpkin porter. Oddly, I wound up having this both on tap and from the bottle on Friday night (a local drinkery had just tapped it before we arrived for happy hour), so I've got you covered. Or something like that. Beer Nerd Details: 17.22% ABV bottled (12 ounce). 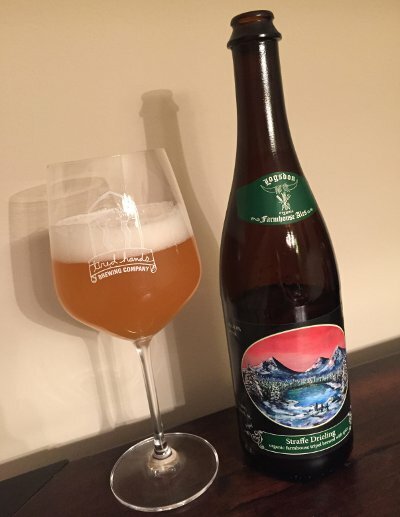 Drank out of a snifter on 10/24/14. Batch No. 1. Bottled Sept 12 2014. At this point, while I'm pretty much done with Pumpkin beers for the year, I'm on board with Avery's barrel aging program in general. It seems to be expanding, so I'm guessing we'll see more of their stuff around here too. Next up, if I can snag one: Uncle Jacob's Stout. Neshaminy Creek County Line IPA - I know "East Coast IPA" isn't a real thing, but I think it kinda describes stuff like this. A local IPA with plenty of hop character that's balanced out by plenty of crystal malts (much more than you get in typical West Coast IPAs). Its enjoyable, but it won't blow minds. The very definition of a B, though sometimes I want to bump that up to a B+, which I guess means it's not the very definition of a B, but give me a break, I'm not under oath here. Ken's Homebrewed Pecan Brown - Wow, that pecan character really comes through on the nose and in the taste. A little lighter in color than your typical brown ale, but that pecan character really sets this apart, and I very much enjoyed it. Sly Fox Incubus - A beer I've reviewed before (a looong time ago), but I'll just say that this bottle had a more distinct raisiny note than I remember. On the other hand, it is a bit high on the booze and stickiness factor, something I'm not huge on when it comes to Tripels. Still a solid B in my book. Ken's Homebrewed Bourbon Porter - This was a pretty solid take on the style, and the bourbon oak character comes through well enough, actually much better than that Conntucky Bourbon stuff from earlier. Go Ken!